A TRULY ICONIC ADDRESS AT YORKVILLE AND AVENUE ROAD. A historic past, a glorious future. New private residences in the legendary four seasons hotel building. 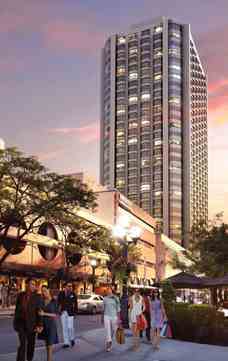 Yorkville plaza combines exquisite living with world-class retail and dining. An exceptional collection, from pied Ã terre to one bedroom plus den designs, epitomizes the elegance and charm of yorkville living. Unit Size : 370 sq. ft. to 1,015 sq. ft.